Good Lady 22 Complete Nutrimix (Wheat Grass) is a swiss formulated whole grain beverage containing 22 kinds of premium multi-grains, beans, oats, seeds and organically grown wheatgrass. 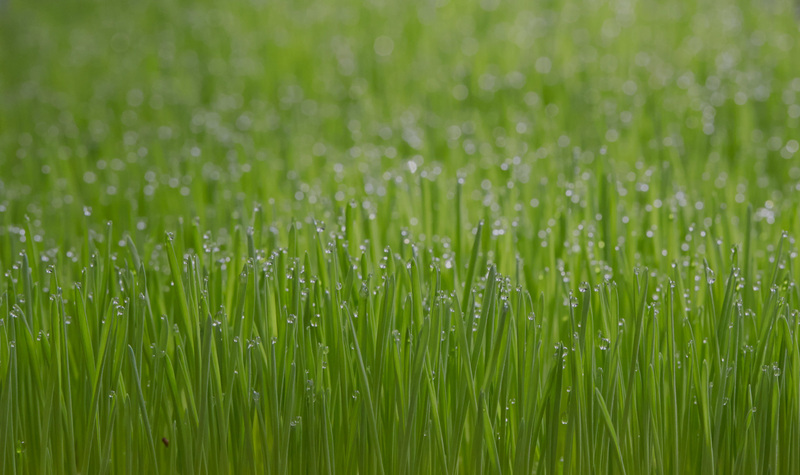 It provides us with dietary fiber, protein, vitamins, minerals, chlorophyll and micro nutrients just in 1 cup. 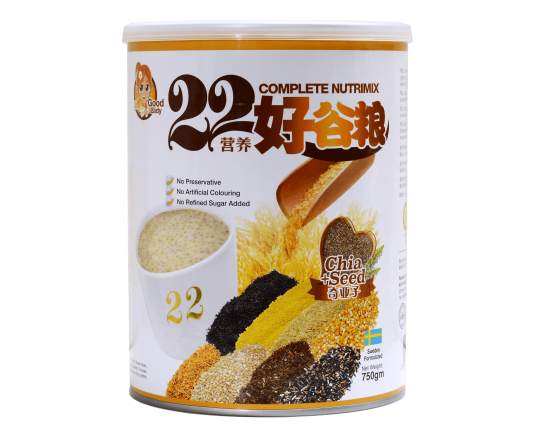 Good Lady 22 Complete Nutrimix (Chia Seed) is a swiss formulated whole grain beverage containing 22 kinds of premium multi-grains, beans, oats, seeds and chia seed. It provides us with dietary fiber, protein, vitamins, minerals, chlorophyll and micro nutrients just in 1 cup. 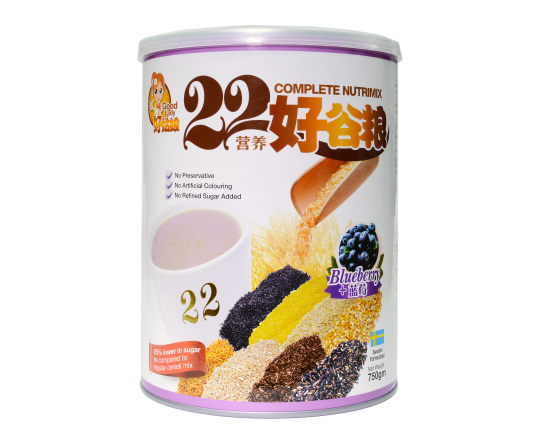 Good Lady 22 Complete Nutrimix (Blueberry) is a swiss formulated whole grain beverage containing 22 kinds of premium multi-grains, beans, oats, seeds and blueberry. It provides us with dietary fiber, protein, vitamins, minerals, chlorophyll and micro nutrients just in 1 cup. 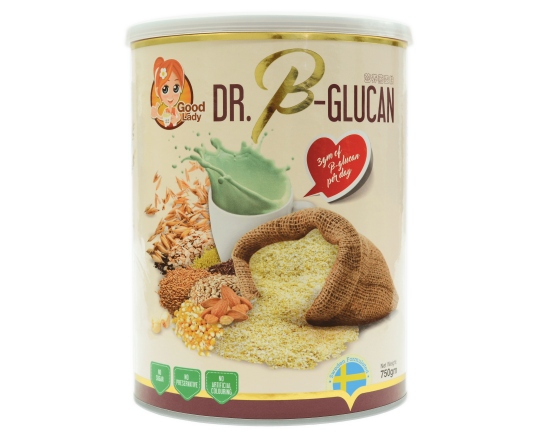 Good Lady Dr. β-Glucan is a healthy whole grain beverage containing top quality oat bran powder with various whole grains and seeds. It provides 18 amino acids, 11 vitamins and minerals, omega 3 and 6, dietary fiber and chlorophyll. Beta-glucan in oats help to maintain a healthy cholesterol level, blood sugar level and gut bacteria, so as to reduce constipation and bowel issues. It also aids in weight control. 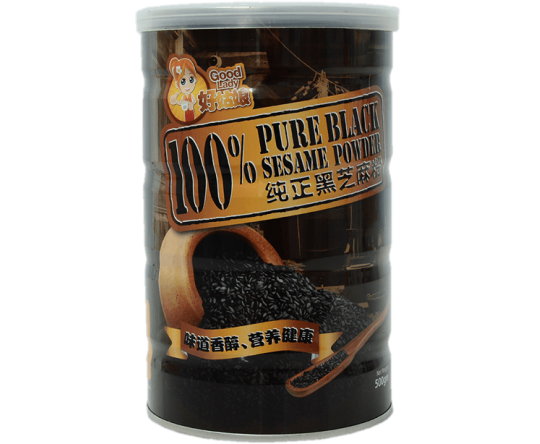 Good Lady 100% Pure Black Sesame Powder only use the finest grade black sesame which does not go through any extraction process to ensure its purest content is well-preserved. Every single piece of Good Lady 100% Pure Black Sesame is cleansed thoroughly with stringent quality control to ensure fine dirt and sand are 100% removed. Roasted under low temperature to remove remaining moisture to enhance its quality and achieve the purest black sesame fragrance and aroma. Good Lady 100% Pure Almond Powder is made from premium grade apricot kernels. Apricot kernels have been long used in traditional Chinese medicine as a health supplement. 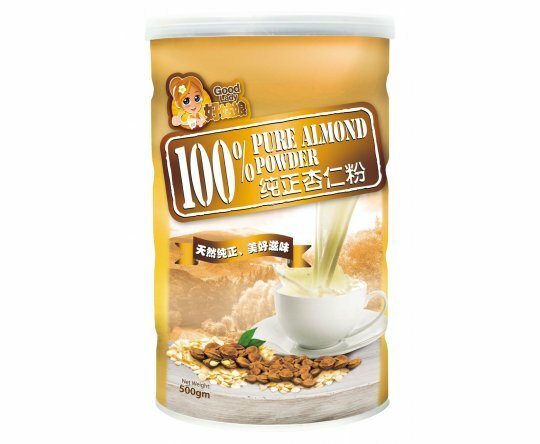 Good Lady 100% Pure Almond Powder uses advance grinding technology to ensure each almond is ground into fine powder to achieve the smooth silky texture, natural fragrance and benefits of almond. Good Lady Oat² Almond Powder is made from high quality almonds, barley and oats, which consist of natural dietary fiber and vitamins. Good Lady Oat² Almond Powder undergoes low temperature roasting and grinding process in order to retain its fiber and vitamins. This process is also necessary to remove the remaining moisture to further enhance its quality. 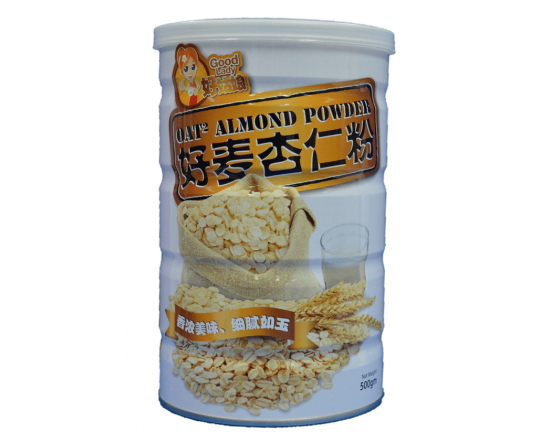 Due to its high-tech grinding process, Good Lady Oat² Almond Powder tastes pleasantly smooth and fine. Good Lady 100% Pure Goat Milk Powder uses 100% non-GMO goat milk from various carefully selected Dutch goat farms in the Netherlands which meet the stringent demands with regard to quality. 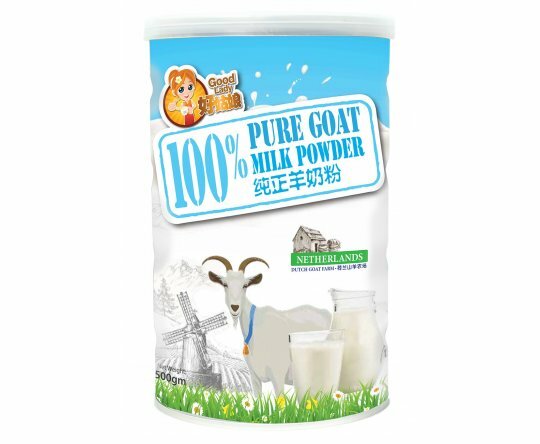 To ensure the purest content and taste is well-preserved, Good Lady 100% Pure Goat Milk Powder is manufactured by spray-drying method. Good Lady 100% Pure Goat Milk Powder contains less lactose when compared to cow milk, thus it may be a milk alternative to a lactose intolerant person. It also has a closer composition to breast milk and contains smaller fat molecules when compared to cow milk, making it easier for the body to digest and absorb the nutrients.